This category holds 1920's and 1930's Food. 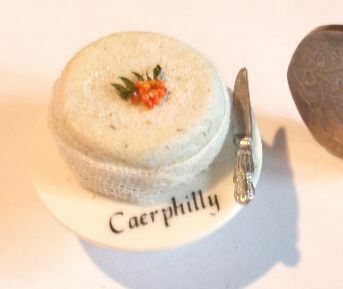 Silver Custard Boat, set on an engraved silver saucer. 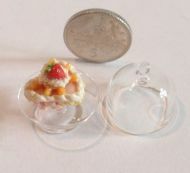 A Heart Shaped 1:24th (Half Scale) Cake, on a glass stand, with a glass dome cover. 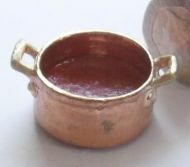 Two handled Copper Pan filled with Jam. An open glass jar of Lemon Curd. Pancake in a black pan.